Marquette would also have a life-saving crew, but it was separate from the lighthouse and its keeper’s duties. Before Marquette’s life-saving crew was established in 1891, Marquette had to send distress signals by telegraph to Portage Lake over a hundred miles away. This delay could easily result in lost vessels. At one point, tugboat skipper, Captain John Frink, rather than wait for the life-saving crew, decided to take matters into his own hands. On November 17, 1886, a fierce storm washed away the Marquette breakwater light, which later was washed up on shore. That afternoon, a schooner, the Eliza Gerlach, was seen about to smash into the breakwater. Captain John Frink risked the waves with the tug Gillett and managed to tow the schooner clear of the breakwater. As soon as the rescue was complete, Captain Frink’s crew went back out to rescue the schooner Florida which had managed to find Iron Bay solely by listening to fog signals, but was now too close to the beach. Eight of the Gillett’s crew jumped aboard the Florida to attach a tow rope to it, but a ninth crew member miscalculated the jump and fell between the vessels, being crushed to death. Despite the casualty, the Florida was towed to safety. The Mining Journal commemorated Captain Frink by saying he deserved the government’s life-saving medal. Captain Frink came from a family not of sailors but lighthouse keepers. His father Reuben Frink was the keeper of the Grand Island North light from 1865-69 and later the Granite Island light from 1884-85. His son William was the assistant keeper at Grand Island North from 1865-70 and another son Richard was acting assistant at Granite Island under his father in 1884-85. But perhaps the most successful and fascinating member of the Frink family was Captain Frink’s sister, Grace, who would end up marrying quite well—or perhaps not so well. In 1879, Grace Frink married Michigan lumberman, Martin Pattison, who would make his fortune in mining veins of iron ore he discovered in the Vermillion Range near Ely, Minnesota. The couple met and married in Marquette and then moved to Superior, Wisconsin where they built the magnificent forty-two room Fairlawn Mansion. The house was lavished with $150,000 worth of Guatemalan mahogany, English glazed tile, Mexican onyx fireplaces, and white-birch woodwork covered with 22-karat gold. An elegant entry hall, a fine staircase, a ball room on the third floor, and a swimming pool in the basement completed the mansion’s impressive accessories. Today, the home has been beautifully restored and is open for tours. Unfortunately, Grace would eventually learn that everything that glitters is not gold. While he was serving as mayor of Superior, Martin Pattison’s former wife came calling. In fact, he had abandoned a wife and children in Lower Michigan before marrying Grace, who had no idea about her husband’s other family or that by marrying her, her husband had become a bigamist. Things were apparently smoothed over with the first wife, and Pattison stayed with Grace, but rumor has it that after that, they slept in separate bedrooms. 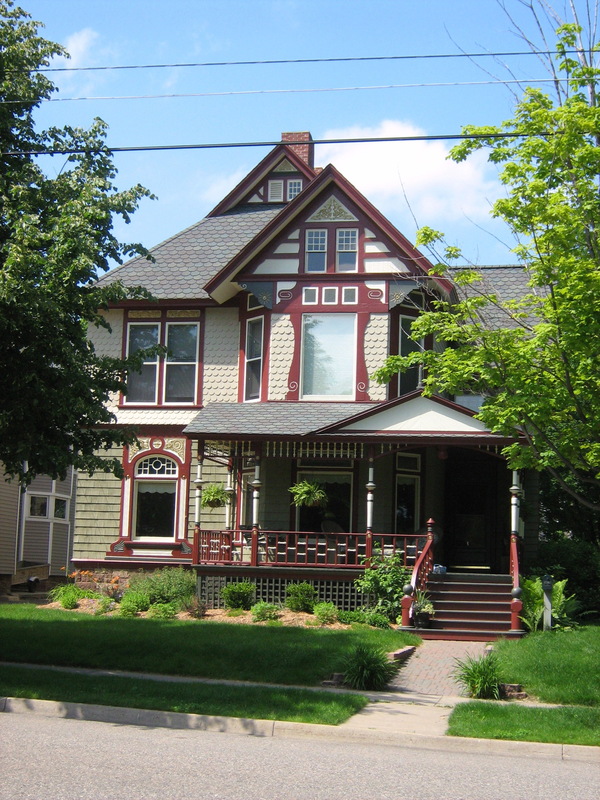 This home was built in 1887 for Ephraim W. Allen, the treasurer of the DSS&A Railroad. The son of a Salem, Massachusetts preacher, Mr. Allen came to Marquette in 1880 as a bookkeeper for the Detroit, Mackinac and Marquette Railroad while the railroad was still being built. Before the railroad was complete, Senator McMillan, its prime builder, appointed Allen as its cashier and paymaster. Mr. Allen would be one of the charter members of the Huron Mountain Shooting and Fishing Club. His son, Hugh, was great friends with Howard Longyear; both boys would drown in Lake Superior in 1900 while canoeing together between Marquette and the Huron Mountain Club. Upon his son’s death, Mr. Allen retired from the Club, but in sympathy, the other members granted him a lifelong membership until his death in 1916. Don’t forget, My Marquette is available for preorder at a discounted price. All books will ship in time for Christmas. Visit MarquetteFiction today. In the last three weeks, five people have drowned in Lake Superior, in Grand Marais, and at Marquette’s Presque Isle Park and Picnic Rocks. 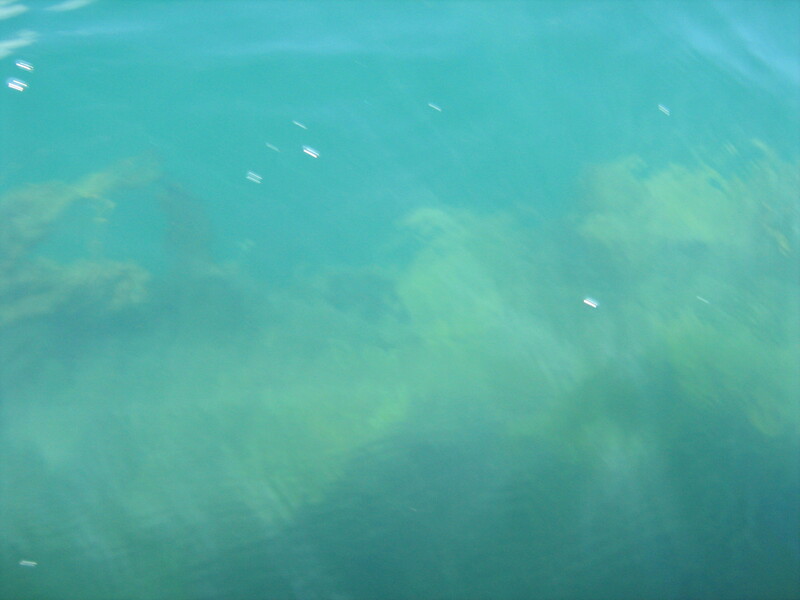 If you are going to swim in Lake Superior, remember always to swim with a buddy; do not swim in bad conditions, even moderate waves, and know the conditions. 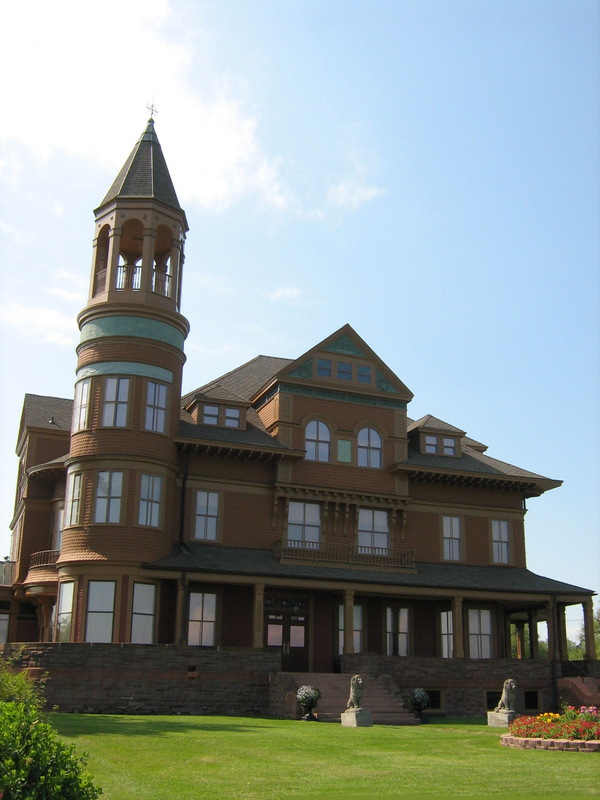 The Longyear Mansion’s residence in Marquette would be short-lived as the result of family tragedy. In 1900, Howard Longyear and his friend Hugh Allen drowned in Lake Superior while canoeing between Marquette and the Huron Mountain Club. 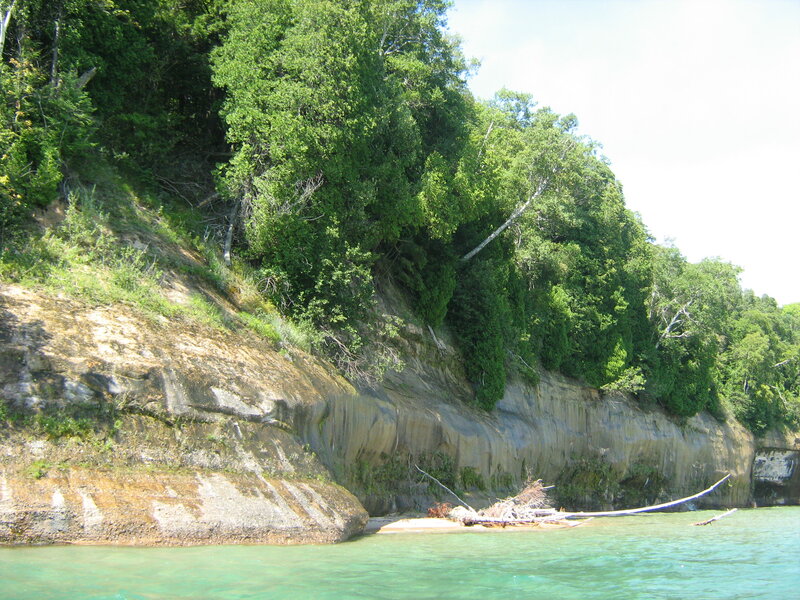 The Longyears were devastated and walked the entire shoreline from the Huron Mountains to Presque Isle Park, hoping to find their son still alive. Once they accepted Howard’s death, the Longyears decided they would donate their property below the bluff to the City of Marquette to build a memorial park named for their son. When the Marquette and Southwestern Railroad announced it wanted to run a railway through the property, the Longyear family entered into a legal battle with the railroad which was settled in the railroad’s favor. When the blasting for the rail bed began, the Longyears decided to go to Europe. Mrs. Longyear was so angry at the railroad and the City of Marquette that she vowed never again to set foot in Marquette. Mr. Longyear agreed to move back East, but he did not want to leave behind their fabulous home, so while the couple was riding down the Champs Elysees in Paris, he suggested they actually bring the house with them when they moved to Massachusetts. Mrs. Longyear readily agreed. The undertaking was massive. In January, 1903, the dismantling began and by June, the house was starting to be reassembled in Brookline, Massachusetts, three miles inland from the ocean because Mrs. Longyear did not want to hear the ocean’s pounding surf, which would remind her of Lake Superior’s roaring waves that had claimed her son. The move would take three years, longer than it took originally to build the house. Each stone block had to be cleaned, numbered, carefully wrapped in straw and cloth and then shipped east. In all, 190 train cars would be used to transport the house. The move was considered an engineering miracle at the time and listed in “Ripley’s Believe It or Not.” Before reassembly was completed, it was decided the house would not look well on its new property in its current shape, so it was laid out differently. When the newer version of the home was completed, new additions were made until it contained one hundred rooms. My great-great grandfather, William Forrest McCombie, was among those hired to disassemble the house. My great-grandmother, Barbara McCombie White, wanted to see the house, so her father told her if she would bring him his lunch about noontime when most of the workers were on their lunch breaks, she wouldn’t be in the way and could look around. Once she started walking through the house, she became lost and her father had to go find her. This family story inspired a scene in The Queen City where Margaret gets lost in the mansion. The Longyears lived in their Brookline home until their deaths. John M. Longyear passed away in 1922 and Mrs. Longyear in 1931. Mrs. Longyear bequeathed the home to the Mary Baker Eddy Foundation—Mary Baker Eddy was the founder of the Christian Science religion. After the Longyear children contested the will, the home became both the headquarters for the Longyear Foundation and a museum for the Christian Science church. In 1985, an episode of the popular television show Spenser for Hire was filmed there. In 1996, the expense of maintaining the home as a museum became too high and it was sold for $6.5 million to a developer who turned it into luxury condominiums. Mrs. Longyear never did set foot again in Marquette, but because Mr. Longyear needed to continue doing business there, he built a home at Ives Lake at the Huron Mountain Club where the Longyears would stay whenever they were in Upper Michigan, and Mr. Longyear would often stay overnight in Marquette as needed. 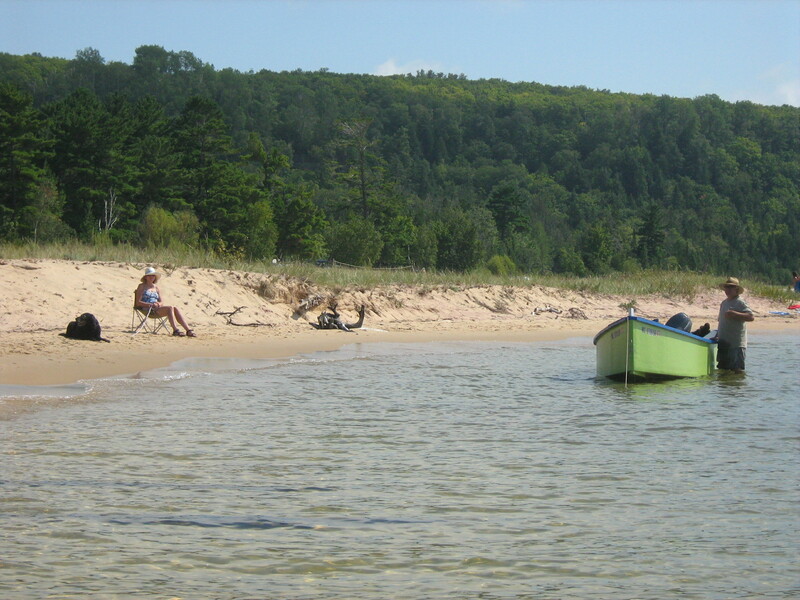 Today, many of the Longyears’ descendants continue to live in Upper Michigan. My Marquette - Coming Christmas 2010! For more information about the Longyear Family, including photographs, read my upcoming book My Marquette and visit my website www.MarquetteFiction.com. 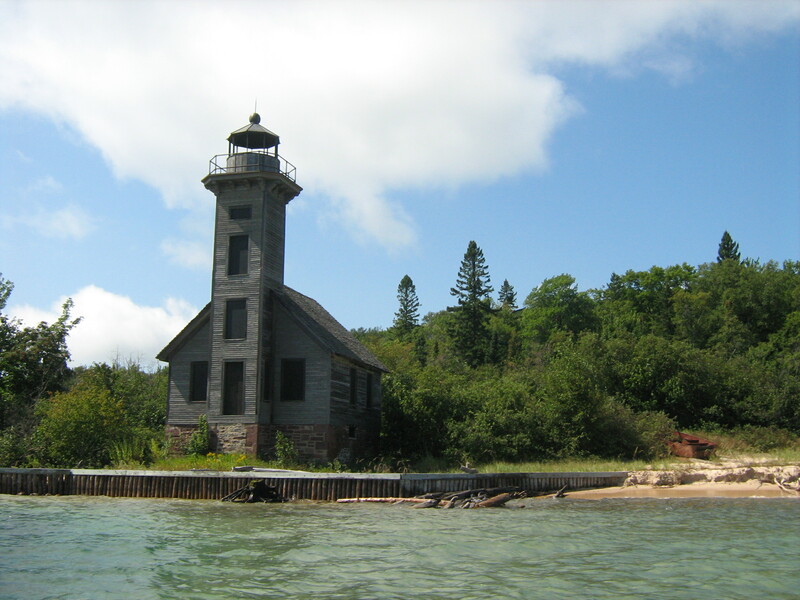 Chris Shanley Dillman, author of Finding My Light, recently published an article in Michigan History Magazine about her ancestors, the Truckey family, who cared for the Marquette lighthouse during the Civil War. I was thrilled when I first heard about this novel a few years ago because Dillman’s ancestor, Nelson Truckey, was a captain in the Michigan 27th during the Civil War, and my own ancestors, Jerome White and his father-in-law, Edmond Remington, served under him. In fact, I have documents where Nelson Truckey testified to their service when they applied for their pensions. Furthermore, August is Maritime month in Marquette, so I thought it appropriate to post about the novel. Here is the book review I wrote for it which is currently also on Amazon. If you love Marquette, history, or lighthouses, this novel is one you don’t want to miss. 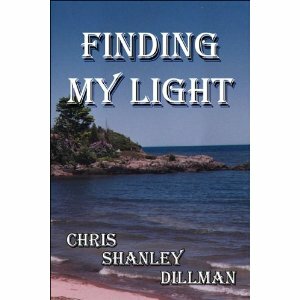 Chris Shanley Dillman’s “Finding My Light” is the finest young adult novel I have read in many years, and one I think adults will enjoy as well. The story tells of sixteen year old Emma Truckey, left behind with her mother and siblings to tend the lighthouse in Marquette, Michigan on Lake Superior during the Civil War, while her father, Nelson Truckey goes off to fight in the Michigan 27th. Emma’s internal journey begins as one of self-doubt, but when her mother must travel to Canada to care for her sick sister, Emma, as the oldest child, finds that the responsibility of keeping the light and watching over her siblings fall upon her shoulders. With the help of her siblings, and her new friend, Bobby, Emma discovers the strength and inner resources she has always had. Bobby is a charming, fun friend who is able to help Emma discover her own value. Bobby dresses like a boy and is not afraid to step in and help out where needed. She is especially Emma’s strength the night of a shipwreck when the two of them must go out in a rowboat to rescue the only survivor. The plot thickens with the rescue of the shipwreck survivor. Emma quickly discovers he is some sort of spy, but she does not know if he is a spy for the Union or the Confederacy. The result is a mission she must go on to help protect the Union. Her adventures ultimately lead to her growth and her reliance upon herself as her own best friend. I wanted to read “Finding My Light” because I am a native of Marquette, Michigan where the book is set. I am also an author who writes about the Marquette area so I was curious to see how a fellow author treated the same region. However, most of all I was interested in “Finding My Light” because the Truckeys in the novel are the author’s actual ancestors, although she did fictionalize parts of the story–author’s license of course. My own great-great-grandfather served in the Michigan 27th with Nelson Truckey, so I was ready to learn plenty about the time period of my ancestors. While the book captures the historical time-period and the feel of early Marquette as a small community, I was primarily impressed with the strong character development in Emma, who truly does find her own light during the book. The revelation she has at the end is one that will resonate with readers, especially young adults who are learning their own self-value as they move into adulthood. While I will not give away the ending, I know the author is planning a second book related to this one which includes a female disguised as a boy joining the Michigan 27th. I am already impatient to read it. I rank this book up there with “Dandelion Cottage” and “Granite Harbor” as one of the best young adult books produced about the Marquette area, and no doubt, the book has universal appeal to readers despite time period, location, and gender. I congratulate Chris Shanley Dillman for writing what I hope will become a classic. 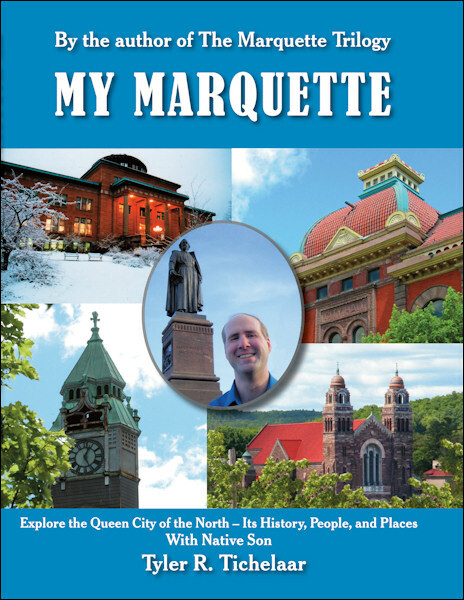 More Marquette Maritime posts will appear throughout this month, including passages from my upcoming book My Marquette. You are currently browsing the MY MARQUETTE weblog archives for August 2010.